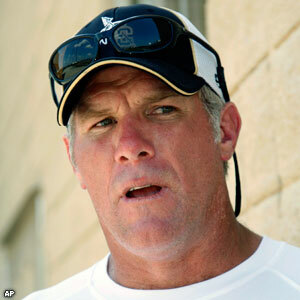 GREEN BAY–Count Ted Thompson among Packers fans happy to welcome Brett Favre back to Lambeau Field. “I think it’s great. It feels comfortable that we now have a plan and we’re going to do things a certain way,” the Packers general manager said on Wednesday. Thompson met with reporters in his weekly training camp press conference. He deferred comment on tackle Don Barclay’s knee injury to Coach Mike McCarthy and his post-practice press conference later in the day. “Guys go down and other guys step up,” Thompson said. Saturday marks the Packers’ preseason opener and Thompson will get his best look to date at his draft crop. Half jokingly, Thompson told reporters: “You guys are almost always wrong. If you were close, I’d give you credit. I’ve seen young guys read the newspaper and get all depressed. I feel bad for the guys that have to read that. Packers.com will provide a training camp look in from today’s practice, which was to begin at 11:45 a.m.
GREEN BAY–A press conference at Lambeau Field on Monday made it official: Former Packers quarterback Brett Favre will be inducted into the Packers Hall of Fame and have his No. 4 jersey retired next summer. The joint announcement was made by Perry Kidder, president of Green Bay Packers Hall of Fame, Inc., and Packers President/CEO Mark Murphy, in an under-construction area that’ll become the new home of the Packers Hall of Fame. Favre’s induction will distinguish the re-opening of the Hall of Fame. “Next year, in 2015, we will induct one of the Packers’ greatest players, Brett Favre, into the Green Bay Packers Hall of Fame,” Kidder said. Murphy then announced Favre’s No. 4 will be retired at the Hall of Fame banquet next July. Favre’s name will appear on the north facade of Lambeau Field during a ceremony at a 2015 game to be determined. “What stood out for me was the joy he had playing the game,” Murphy said of Favre. “I want to congratulate Brett for these two, well-deserved honors,” former Packers president Bob Harlan said. 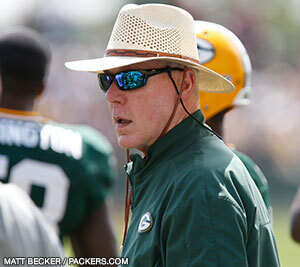 The press conference was attended by Packers General Manager Ted Thompson and Head Coach Mike McCarthy. Click here for packers.com’s full story. Packers.com will staff the event and provide a bulletin story when the announcement is made, followed later by a complete version of the press conference’s events. The event will also be streamed live on Packers.com. 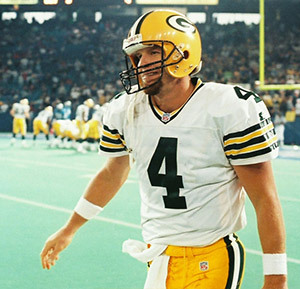 A longtime friend of former Packers QB Brett Favre, former K Ryan Longwell believes the much-talked-about reconciliation between Favre and the Packers will happen soon. Longwell retired as a Packer on Tuesday and spoke with reporters. He said he had talked with Favre earlier in the morning and said Favre was “excited” for him to go out this way. He didn’t say if the two specifically talked about a Favre-Packers reunion, but he seemed to confirm that all prior reports about things heading in that direction were true. “I feel like it will happen soon,” Longwell said. “I feel like everybody is in a good place about it. Longwell, of course, went through his own divorce from the Packers after nine seasons (1997-2005), during which he set the franchise’s all-time scoring record and became the team’s all-time leader in field-goal accuracy. He then spent six seasons (2006-11) in Minnesota, and immediately upon heading to Minneapolis drew the ire of Packers fans for his infamous “Applebee’s” comment regarding restaurant choices in Green Bay, which he claimed was a self-deprecating joke because he and his wife ate at Applebee’s all the time, though he understands how it was misconstrued and regretted ever saying it. His career ended last season with a one-week playoff stint with Seattle, which he called the “perfect ending,” having been born in Seattle and grown up a Seahawks fan. He also flashed back to the beginning of his career, when he was “disappointed” the Packers claimed him off waivers from the 49ers in ’97 because he wasn’t sure if he’d make it on the roster of the defending Super Bowl champions. But he did make it, and he recalled his first official professional field goal against the Bears, a 38-yarder on the Monday night season opener. He also recalled his last-second, chip-shot miss the following week on a wet Veterans Stadium turf in Philadelphia that cost the Packers a 10-9 decision, a kick that in hindsight probably changed his career. He said that miss taught him that every kick needs to be treated with the same value and preceded by the same routine. He had made all six of his field goals in the preseason, plus three against the Bears and three in the Eagles game, and a 12-for-12 start made him think it was “easy,” even when Favre came to the sideline prior to the final moments in Philly and warned him that the rain was starting to make things slippery out on the field. With his wife and two children in attendance in the Packers media auditorium, Longwell thanked a host of folks for the role they played in his career, particularly former GM Ron Wolf. He’s watching interestedly to see who wins the Packers kicking job this season. He has kept in touch with Mason Crosby over the years and believes he’s a “tremendous talent” whose statistics are skewed by the number of long field goals he has attempted. He also said Giorgio Tavecchio, who like Longwell is from Cal, has a “refreshing mindset” the way he approaches the game. “It will all work out the way it’s supposed to work out,” Longwell said. That seems to be his take on the whole Favre thing, too. “Everything will be made right when the time is right,” he said.